Annette Rhodes practices in the areas of estate planning, estate administration and small business law. She offers her clients a broad base of knowledge and experience, pays attention to their needs and serves them with heart and hard work. Annette’s life experiences give her a unique perspective on the practice of law and how the law can benefit her clients. After graduating from Muskingum University in New Concord, Ohio, she served in the United States Peace Corps, living and working in Zaire, Africa (now the Democratic Republic of the Congo). She chose Campbell University School of Law in North Carolina because it sought to develop lawyers with moral conviction and social compassion, teaching them to view the practice of law as a calling to serve others. As a student, she became a member of the Christian Legal Society and served as Notes and Comments editor for the Campbell Law Review. After graduating from Campbell University School of Law with honors in 1986, Annette worked for Judge K. Edward Greene on the North Carolina Court of Appeals. She then worked with the Raleigh law firm of Allen & Pinnix before becoming a founding partner in Hendrick & Rhodes in southern Wake County. Annette was an adjunct professor at Campbell University for several years and taught a course in international law in the People’s Republic of China. She’s also taught in Russia. 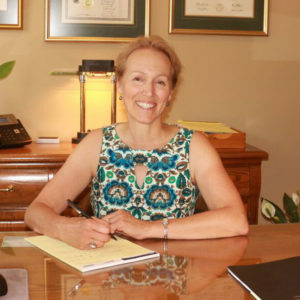 In 2010, Annette founded Rhodes Law Firm, PLLC, and, in 2014, moved the practice to Wake Forest, closer to her home. Annette’s concern for justice is reflected in her 20 years of service on the Board of Directors of North Carolina Right to Life, which educates and advocates for the unborn, the disabled and the elderly – the vulnerable in our society. Her compassion extends to all living creatures. She likes to rescue injured wildlife and has rescued many reptiles, mammals and birds over the years — including a barred owl. Annette and her husband, Jim, live in Wake Forest and belong to Crossroads Fellowship. When not working, they enjoy traveling, community events and sailing. 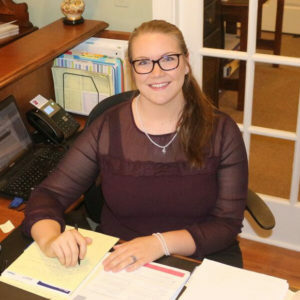 Kathrynn Johnston is a legal assistant at Rhodes Law Firm, PLLC, a position she’s held since 2016. She manages the day-to-day operations of the practice and assists clients as a notary public. She grew up in southwest Louisiana. Kathrynn attended Louisiana College and earned a Bachelor of Arts in biblical studies and double minored in biblical languages and Spanish. Her desire to continue her education brought her to Wake Forest where she earned a Master of Arts in intercultural studies from Southeastern Baptist Theological Seminary (SEBTS) in 2017. When not working, Kathrynn likes to spend time with her husband Will, who is also a SEBTS student. They have a border collie named Jax and are active members of Imago Dei Church in Raleigh. Kathrynn also enjoys cooking, reading fiction and travelling.